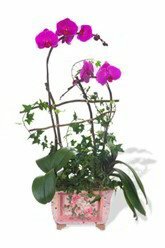 Brighten up any space or room with one of these truly stunning Amethyst Phalaenopsis Orchid plants. Treat yourself or that someone special. 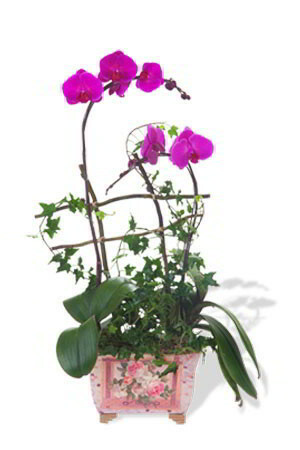 Features 2 Phalaenopsis stems. Except for the delivery time which I have specified in special instruction, everything else was satisfactory. Great website with lots of choice. Reasonable prices my friends was pleased with her orchid which arrived next day. Would recommend. I was so happy I could order an orchid plant for my daughter's birthday and have confidence that she would receive it the next morning, on time and in perfect condition.